Knoxville Mayor Madeline Rogero unveiled her proposed budget on Wednesday, a $302.68 million spending plan that doesn’t include a tax increase but features funding dedicated to a number of major initiatives including streetscapes and community service organizations. The overall budget is about a 4.5 percent increase from the current one, but officials said the additional revenues came from natural growth. In addition, the budget includes a $212.5 million general fund - which covers most of the city's day-to-day operations - that is an almost 3 percent from the current budget. The plan will cover the upcoming fiscal year, which begins July 1. Rogero, during her presentation at Zoo Knoxville, emphasized the momentum and economic development occurring across the city – and also the need to ensure that all residents share in the growing prosperity. The streetscape project for a four-block section of Magnolia Avenue from Jessamine to Bertrand streets represents the largest new capital investment in the budget, at $4.39 million. The project was first proposed in the Magnolia Avenue Corridor Plan adopted by City Council in 2009, and has been in various stages of public input and design for the past two years. The eventual plan is to redesign all of Magnolia Avenue from downtown to Burlington, to make it more attractive and safer for local residents drivers, pedestrians, cyclists and transit riders. 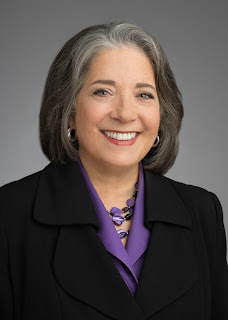 Rogero also reiterated her commitment of a $250,000 capital grant to The Change Center, a new recreation and jobs center for young people on Harriet Tubman Street that was announced April 20. She also proposed an additional $50,000 for the City’s Save Our Sons initiative to reduce violence and increase opportunities for young men and boys of color, doubling its programming capacity. Further, she included another annual commitment of $250,000 for the Great Schools Partnership to support Community Schools in center city neighborhoods. $200,000 toward a program for pre-arrest diversion of individuals with mental health and substance abuse issues. 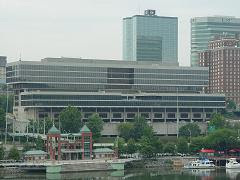 Knoxville City Council will consider the budget on first reading at its May 10 meeting, followed by Council’s public budget hearing on May 17. The budget is scheduled for final adoption at Council’s June 7 meeting.